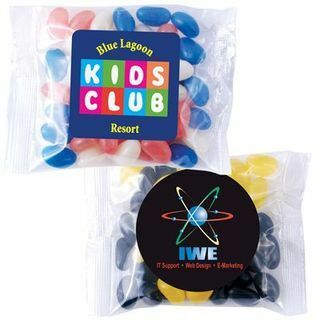 60 gram cello bag of corporate colour mini jelly beans. Choose up to 3 colours - Green, Red, Orange, White, Yellow, Black, Pink, Purple, Blue, Chocko. Size of cello bag may change from shipment to shipment, weight is always 60 grams.